I spend lots of my time figuring out how people like to plan their time. Some are down to the second, compulsive types and some are more “seat of their pants” planners. No matter what, time planning is a very personal thing. The way that I see most people fail is that they are trying to follow a planner system that doesn’t match the way that they live or work. 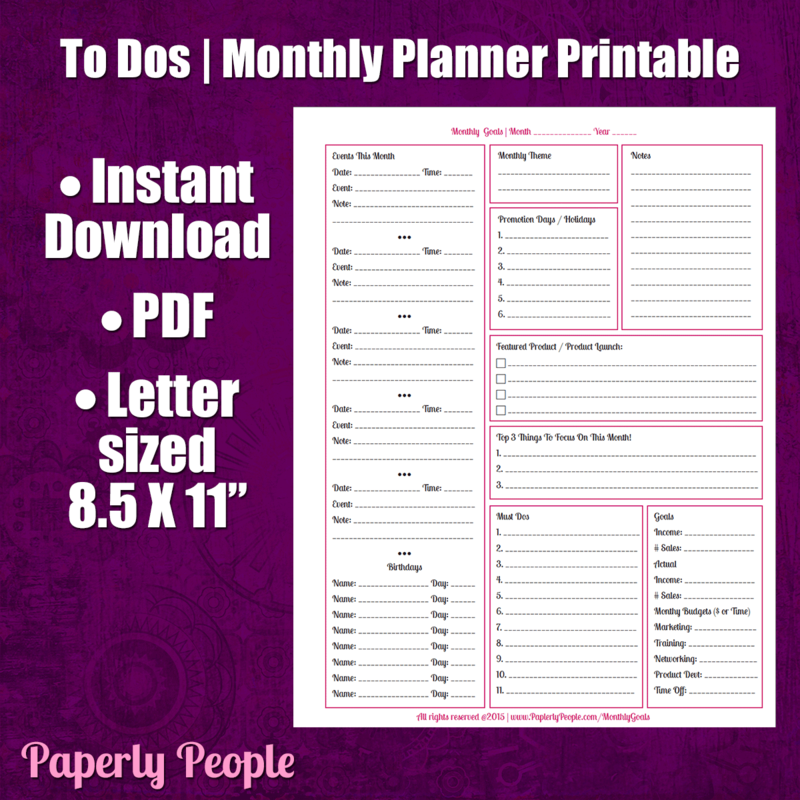 Here are a number of different time planner systems that might work for you from super structured to loosey goosey! This one is for the guy or gal who has lots of time commitments. Your day is filled with meetings and appointments and you need to be sure you know where you need to be every second of the day. If you find that you are missing commitments then maybe you should keep a record of them front and center on your desk so that you know where you should be when. One thing I find people missing on these kinds of planners is their travel time. 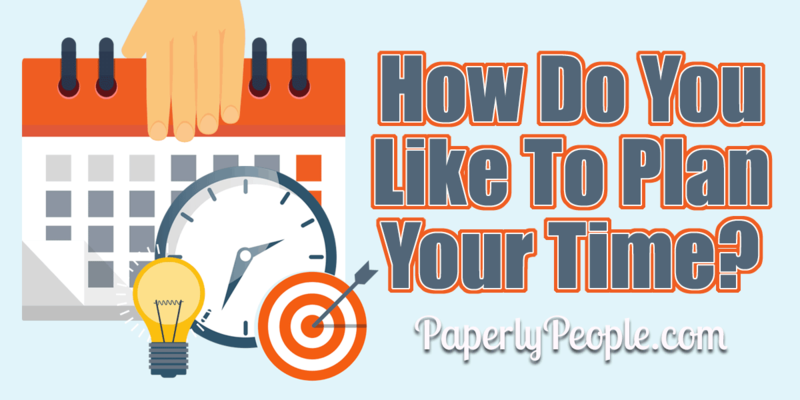 Make sure you include plenty of time for stop lights and traffic jams in your scheduling! >> Get the daily appointment calendar page! 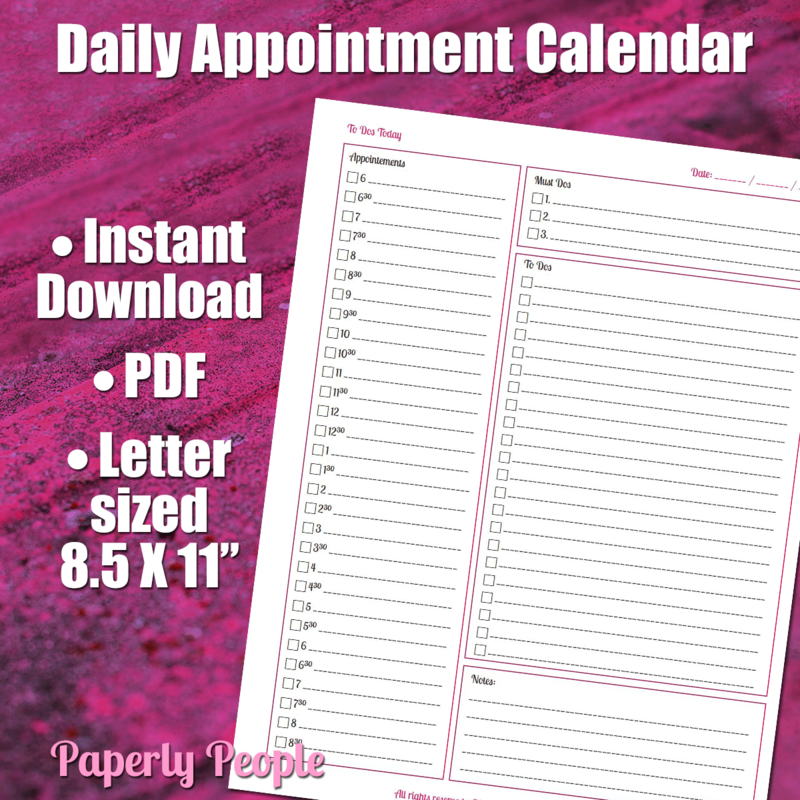 A daily planner page is a bit different than an appointment page. It allows you to track all of your appointments and to dos, PLUS your daily gratitude thoughts, things that you have sold and even your goals and affirmations. This is great for more creative type people who are not as structured in their time for the day, but who do want to make sure that they are getting things done over the course of the day. This is the page that I use. While I do have appointments from time-to-time, ordering my day with time would just not make sense. 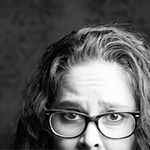 Instead I time block tasks like publishing blog posts and forms, doing client work and creating new products. My time is a lot looser, but I do not not want to miss any important tasks that I have for the day! 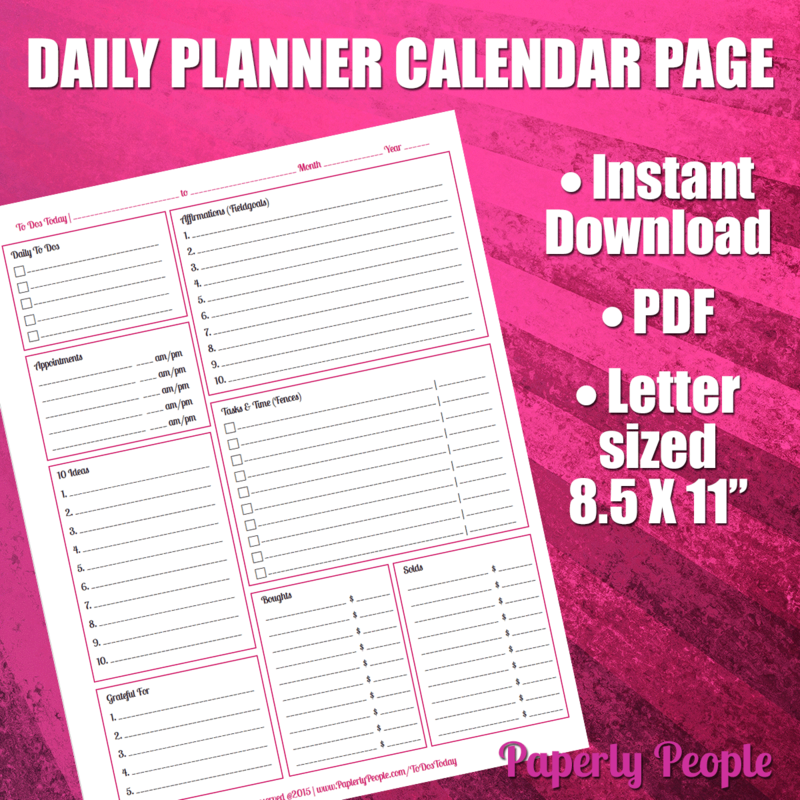 >> Get the daily planner calendar page! There are many people who do not want to have daily pages at all! Instead they like to look at a weekly view of their time and see an overall view of what they will be doing. I have to say that this is probably the majority of the planners out there. Making a weekly planner takes up much less room than a daily (52 pages instead of 365) and it is what the majority of people use. I agree that this this a great way to plan your week (I used one of these for years) and that you can see everything at one glance. That said it makes a better calendar than a planner and I still wound up with stick notes and to do lists hanging around when I used this type of planner. 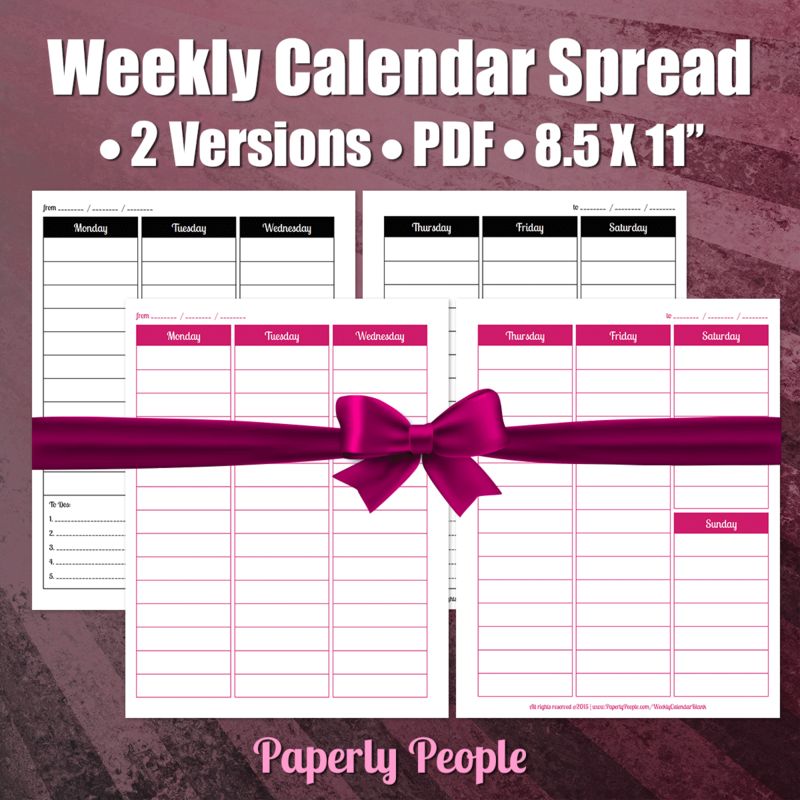 >> Get the week calendar spread set! If you have lots of things that you have to schedule your time out for, having a set of monthly calendar pages is a great idea. I use these for showing when I have speaking events, when my kids will be off from school and for basic planning of major holidays like Christmas and Thanksgiving. I do know a few people who are able to keep all of their times and dates scheduled this way, but overall I find that I need a little more space to put in my planned events and appointments. 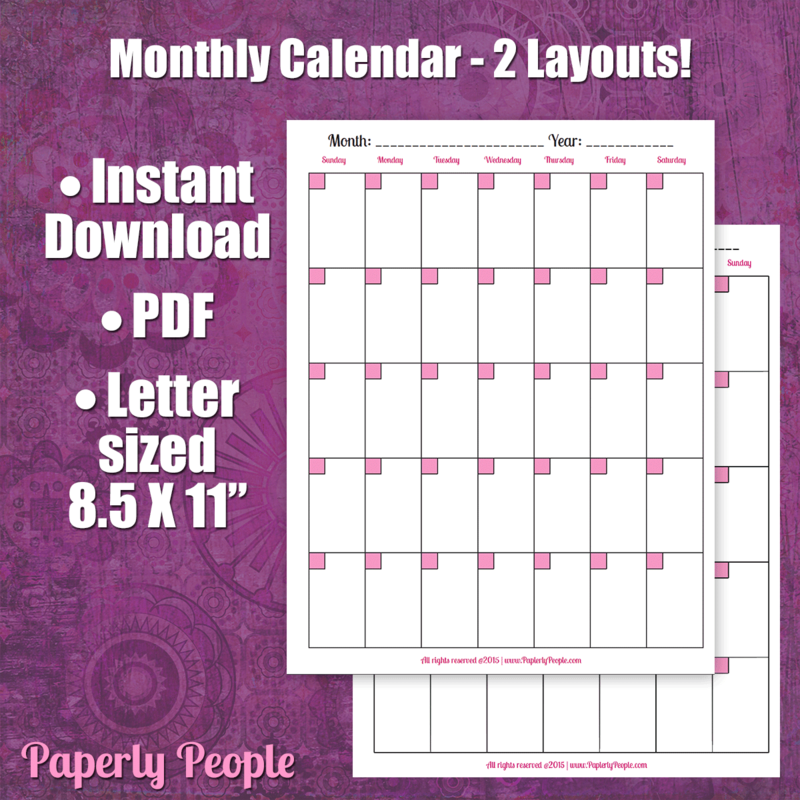 >> Get the monthly calendar pages! This may be my second favorite kind of planner page! It allows you to see at a high level what you are going to accomplish over the next month. I like to do this one at the first of each month so that I know what I will have going on generally and what my goals are for the month. This is truly more of a planner page and less of a calendar function. By having an overall view I can be much more strategic about my business and my goals for the coming month. 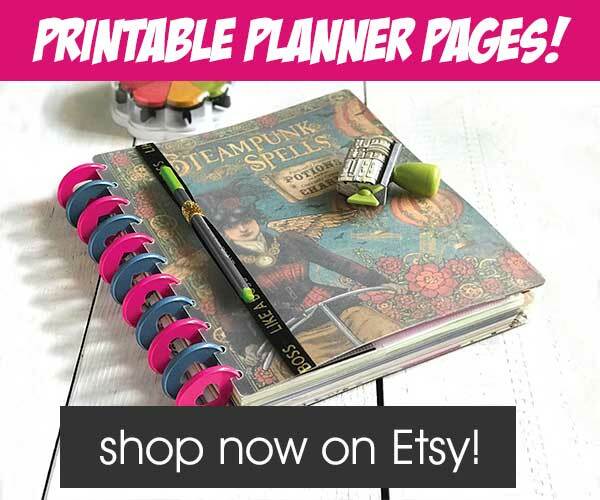 >> Get the monthly planner pages! If you have gotten this far down with all the different paper calendar choices, you may be a died-in-the-wool online calendar hater. But I am not! I love having an online calendar that my assistant can use to schedule my time and that I can pop open each morning to see what I have going on. That said, my work is done on paper and my scheduling is done in the online calendar. This makes it much easier to work through my day AND to actually be able to see what I have coming up that is big on my monthly calendar pages. Whew…I feel like that was a A LOT of calendar talk, but it is super important to find out what works for you! I have spent thousands of dollars and hundreds of hours over they years trying to get a system that would work for me and AT LAST I have something that will work day-in and day-out. Once you find your “right system” you can quit worrying about the mechanics and start worrying about your business!